Maria Borges walks the Runway at Fashion for Relief Cannes 2018 during the 71st annual Cannes Film Festival at Aeroport Cannes Mandelieu on May 13, 2018 in Cannes, France. 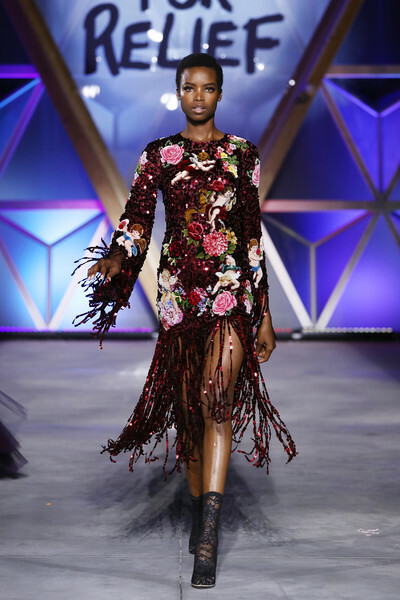 Maria Borges sashayed down the Fashion for Relief runway wearing a red sequin dress with angel and flower embroidery and a fringed skirt and sleeves. A pair of black lace boots amped up the flirty vibe.